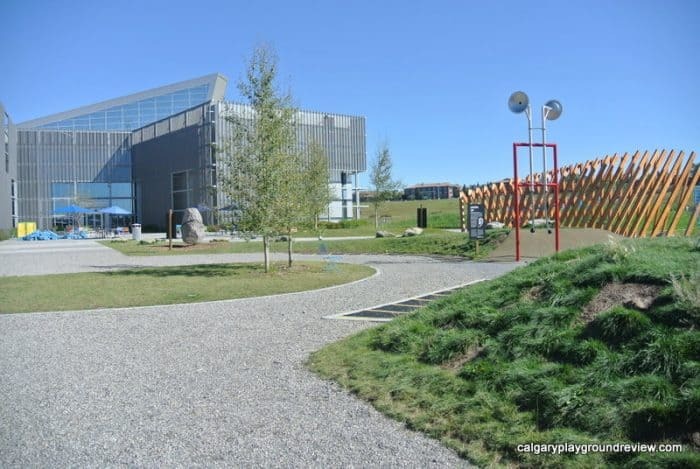 Note: The Brainasium is inside the Telus Spark perimeter. Regular admission is required to visit. 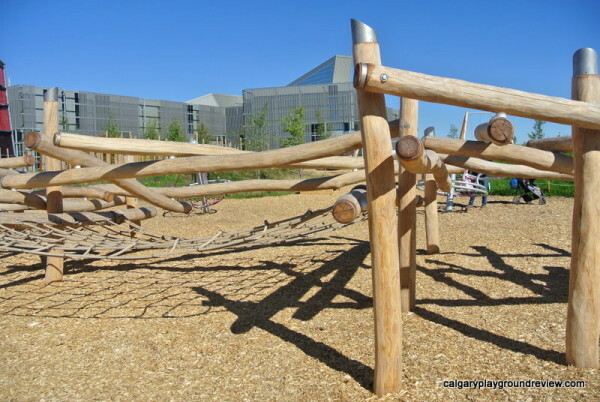 Age Range: Geared towards kids 5-12 but younger kids will enjoy some of the features as well. 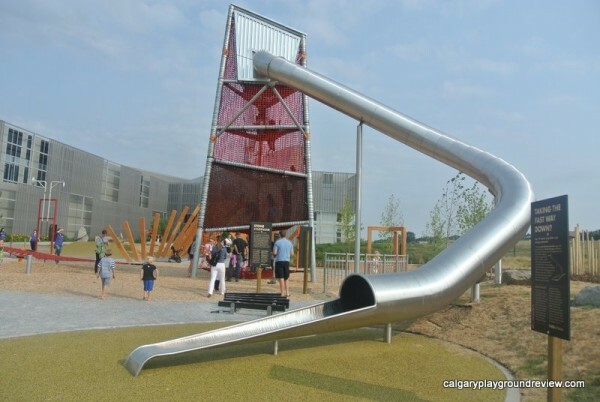 Telus Spark recommends the tall slide for kids 8 and up. Ground Cover: multiple kinds of ground cover. Shade: Some from the structures and young trees. 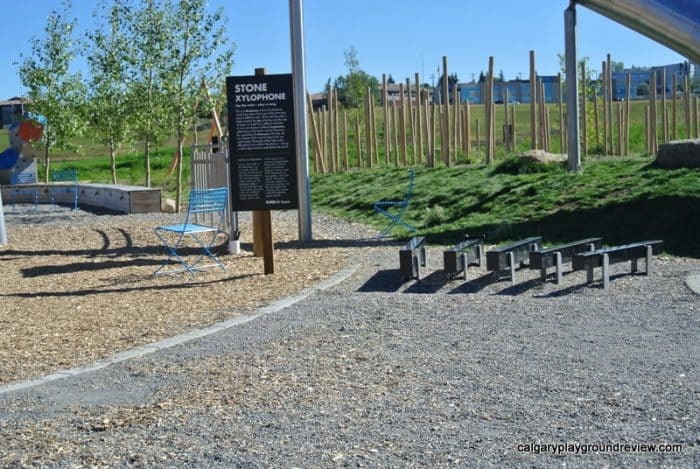 Accessibility: There are pathways and some features that can be accessed from ground level. 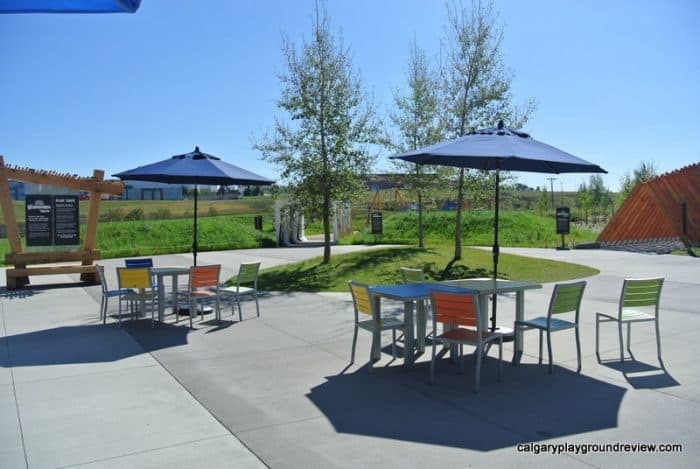 Seating: There are picnic tables close to the entrance doors. 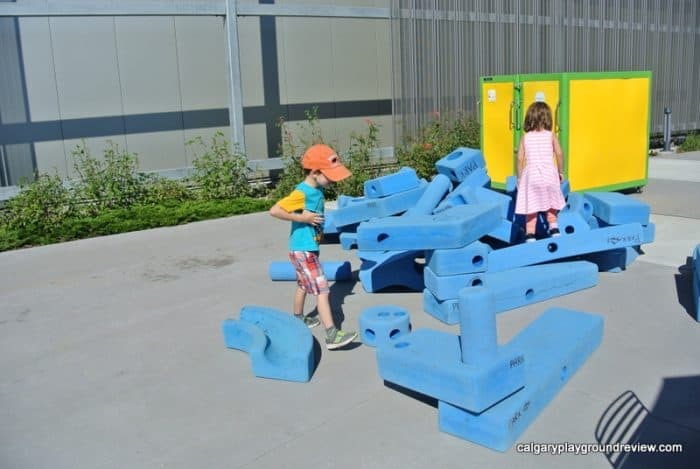 Although all playgrounds help kids learn through play and physical activity, this connection could not be more obvious at the Brainasium. 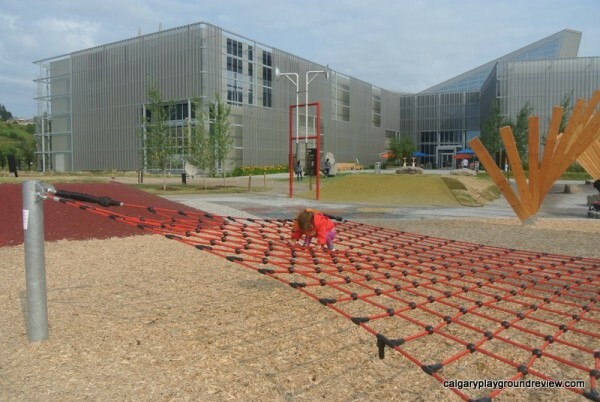 The Brainasium is an outdoor park with both playground and classic science centre exhibits for kids to play with and explore. 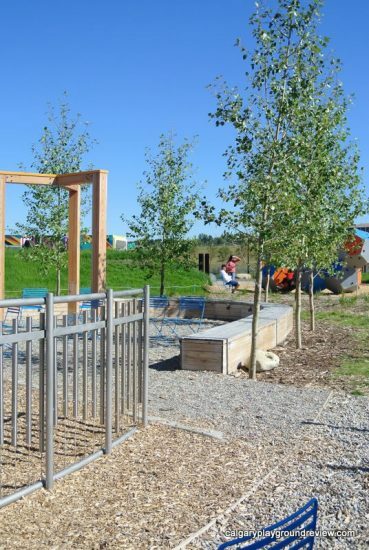 There are plans to expand the outdoor area to include exhibits on agriculture, transportation and wetlands. 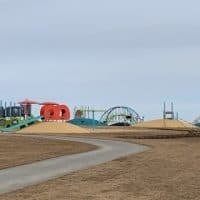 The biggest draw is obviously the huge 63 foot slide. To get up you have to climb 36 feet up a rope style tower. 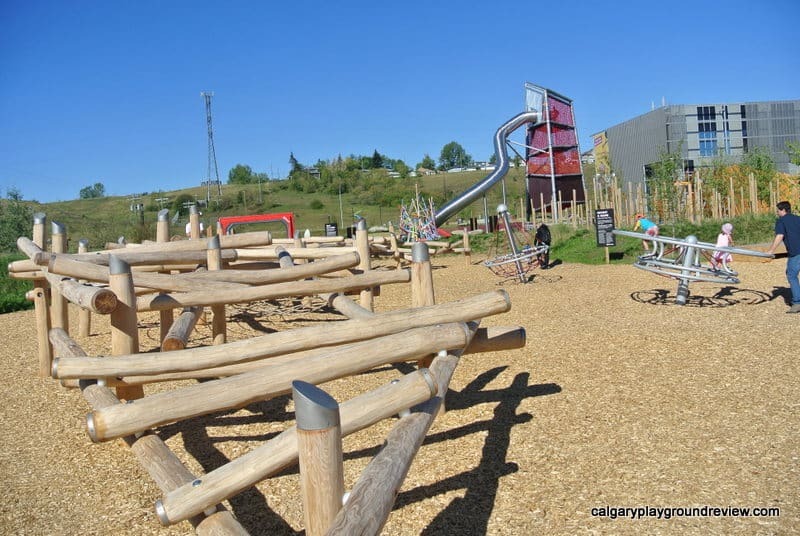 The tower and slide are recommended for kids 8 and up. 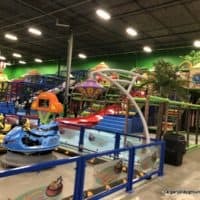 Younger kids who are able to get up, should be okay getting down. A sign at the top of the slide recommends that kids 3-6 go down with an adult. Gordie at 5 and really wanted to do it. He climbed to the top (twice, actually) but found it too intimidating to slide down the tunnel slide that you can’t see the bottom of even with his Dad. 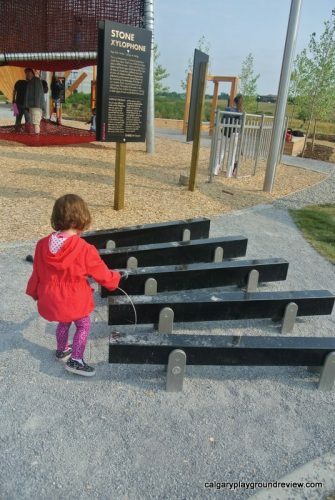 My daughter at 3 happily went down by herself but wanted her Dad to climb up with her. 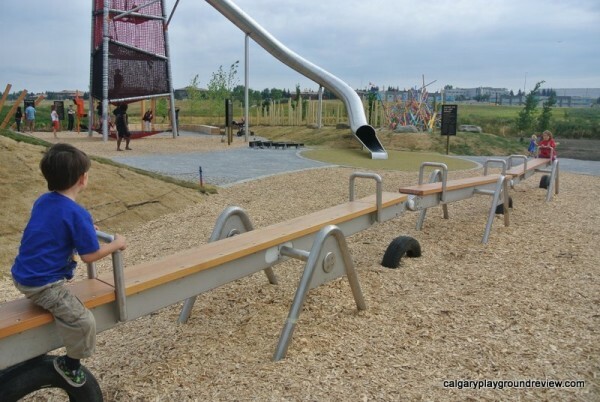 I didn’t see a single kid who was unhappy coming out at the bottom of the slide. 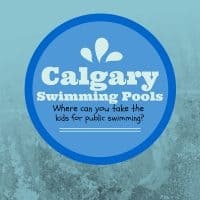 If you kid is comfortable enough to try, they will likely be just fine. 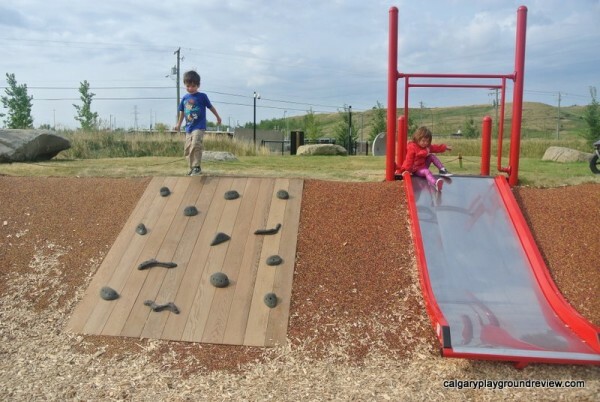 For younger kids they have a slide set into a hill and a inclined climbing wall. 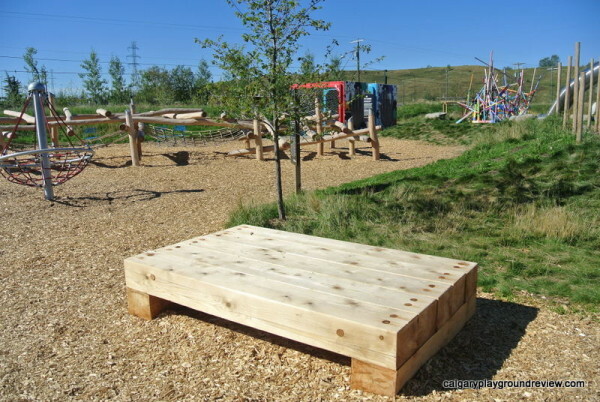 Although it looks fairly simple, both my kids loved playing on it. 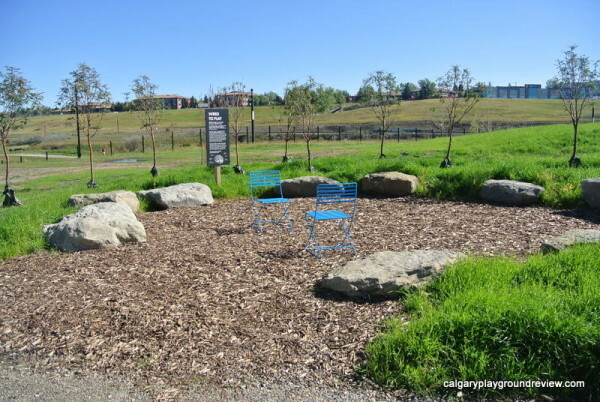 At the top of the hill there is an area with rocks that you can climb on too. Right near by is a large rope web. Nicky found this to be VERY challenging but loved it. 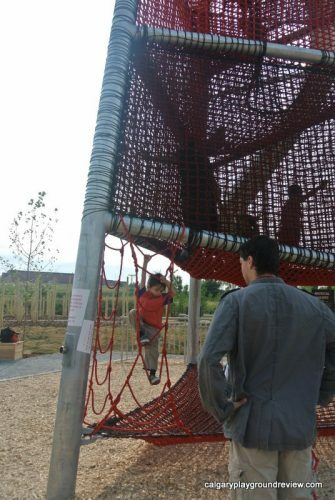 (The last time we were there the rope web was missing). 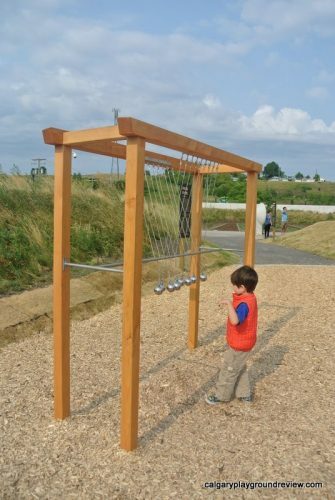 There are two musical features: a musical rail (above) and a stone xylophone that are both fun and easy to use. Just to the north of that is a little pathway that has a log ‘forest’ on both sides. 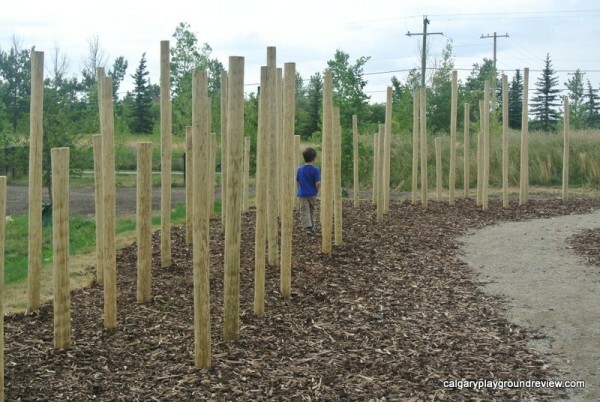 The science centre challenges you to try to run through the forest without touching the wood. Gordie thought trying to do that was pretty fun. 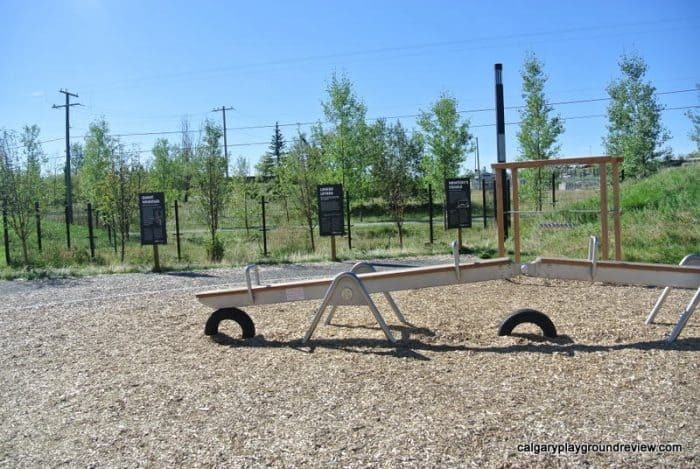 I had trouble visualizing the 8 seater teeter-totter before we got there, but it is sort of like 4 connected teeter-totters that move dependent on each other. 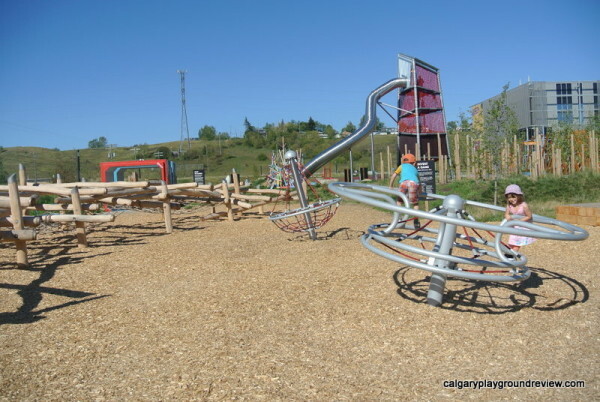 I haven’t seen anything quite like it although there are some playground features in town that use the same principle. 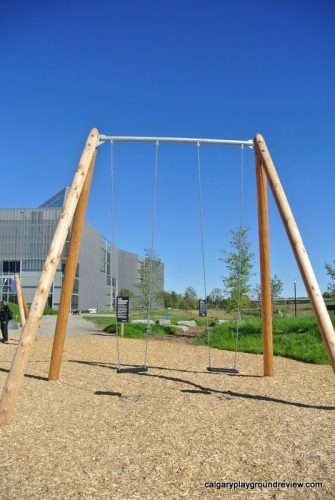 A number of the other features on this side have more of a science centre exhibit feel to them. Gordie was a little bit on the short side for a couple of them like these directional ‘ears’. 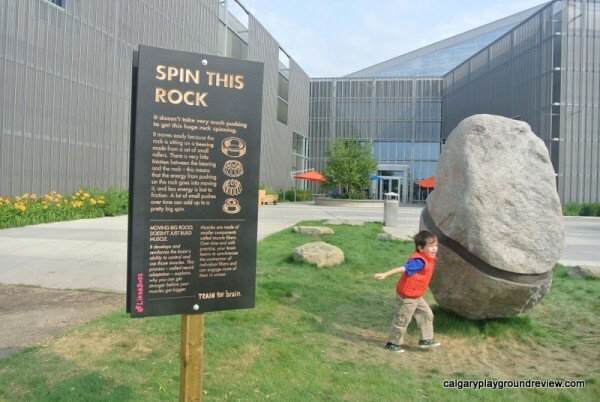 But he really liked trying to spin this huge rock. And experimenting with a Newton’s Cradle. 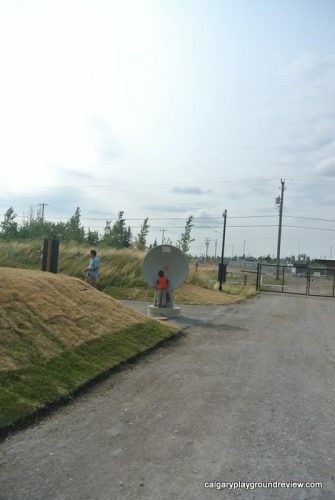 There is also a really cool whisper dishes where you can talk to someone who is pretty far away, but they take a bit more patience to find the right spot than my kids had on this visit. 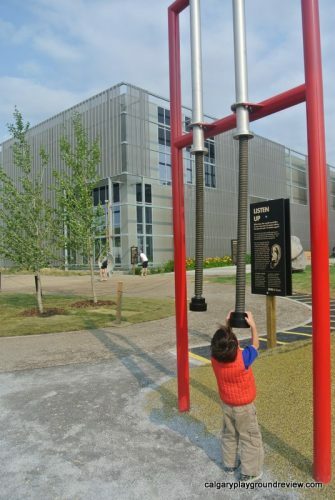 If you are looking for a more guided experience into the science of play that you can experience, each exhibit has a sign that explains it from an easy to understand science perspective. 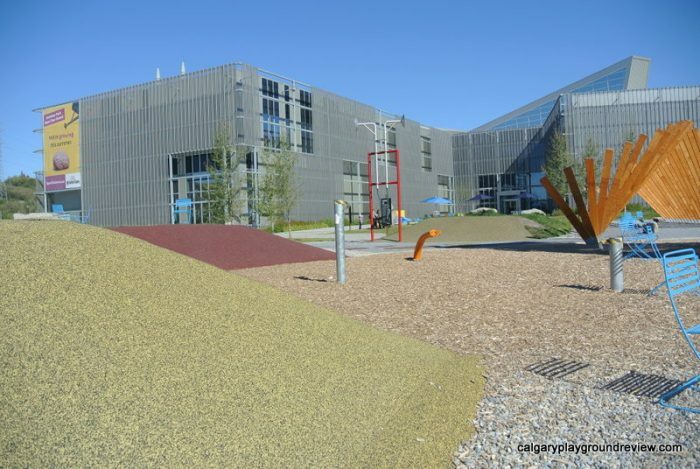 In 2015, a new addition was built onto the park. 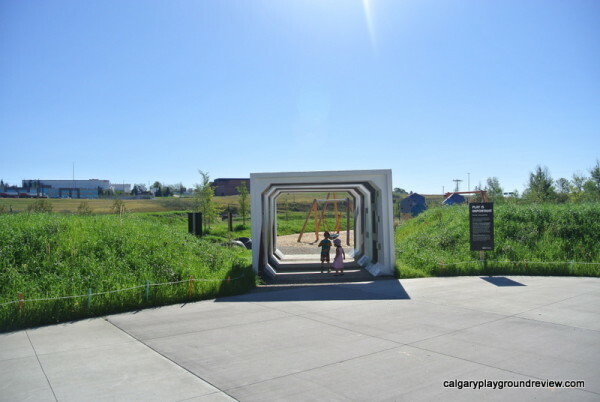 There is a tunnel on each entrance to the new Brainasium expansion. 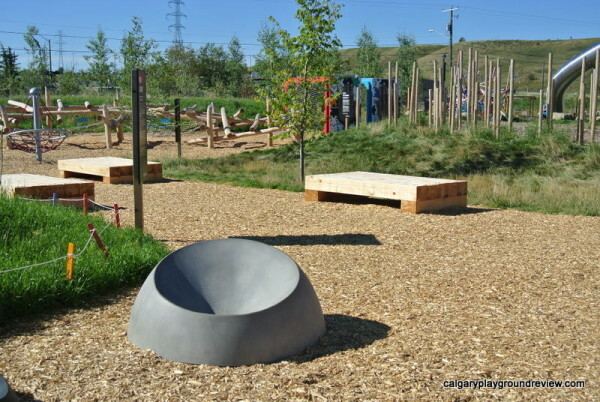 They have a few places with large rocks, concave spheres and wooden benches that can be used for seating or for play. 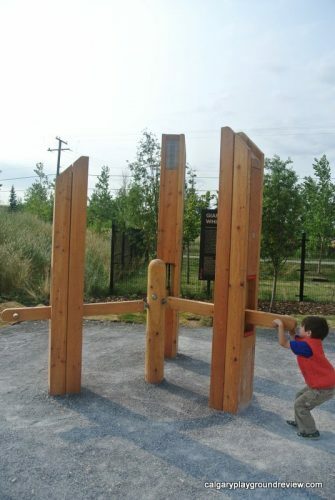 They also have some really cool playground elements. 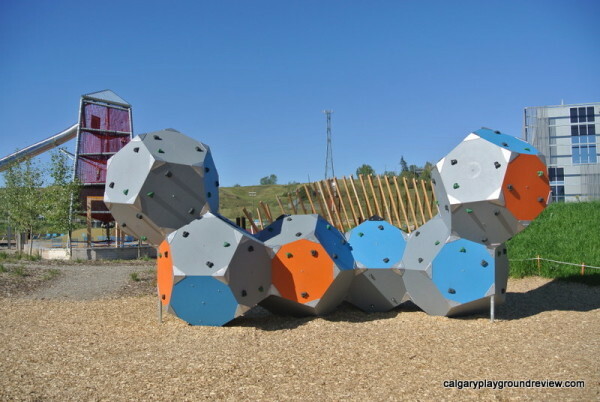 This climbing structure is similar to a climbing wall but with multiple different angles. And two really long swings. 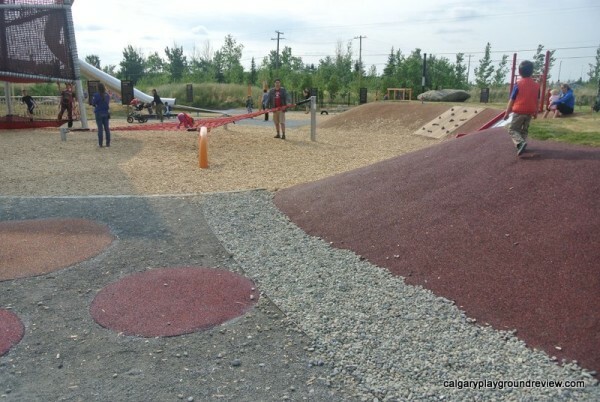 There are two climb-able spinners. 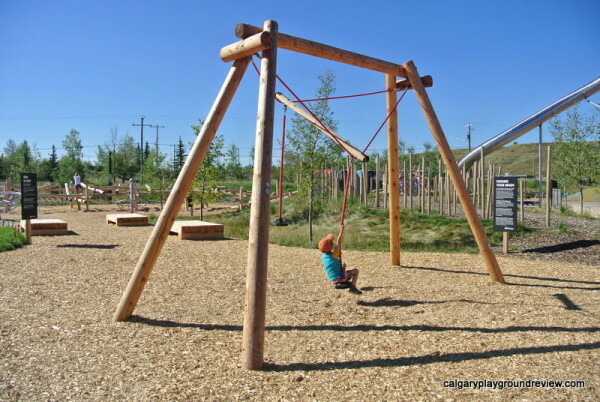 And an extensive log and rope climbing structure that my kids both loved. Near the entrance to the building there is a plaza area. 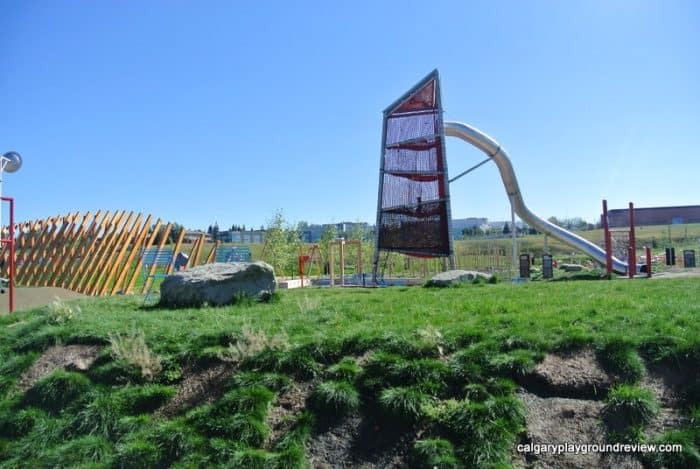 Sometimes you may find an imagination playground or other things for kids to play with. And there are a number of picnic tables with umbrellas. 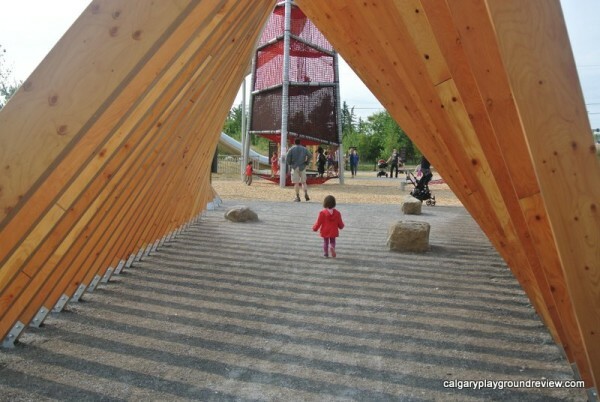 The Brainasium outdoor park is quickly becoming one of the best playgrounds in the city. 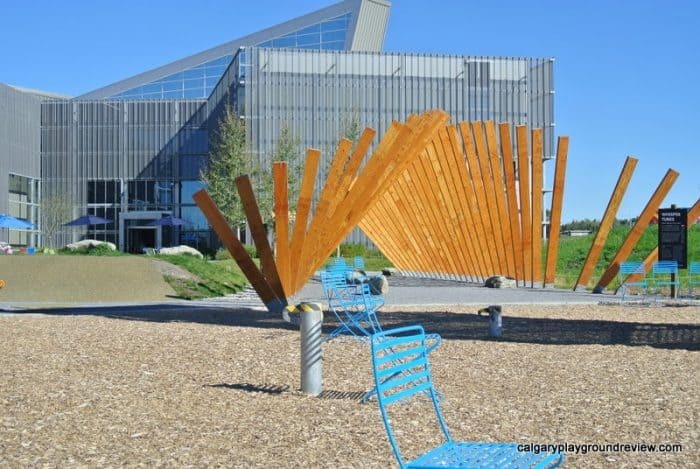 More about the Telus Spark science centre overall, Telus Sparks’ three permanent Galleries: Energy and Innovation, Earth and Sky and Being Human, the Creative Kids Museum and Open Studio. 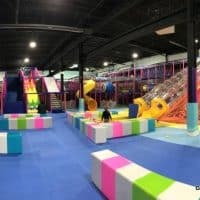 Have you been to the Brainasium? What did you think?